This site gives you access to our online archive of the Harper's Weekly newspaper published during the Civil War. This collection features incredible illustrations created by eye-witnesses to some of the most important events in American History. You are viewing an incredible picture of the Battle of Cedar Mountain. It is from an original 1862 Harper's Weekly Civil War Newspaper. 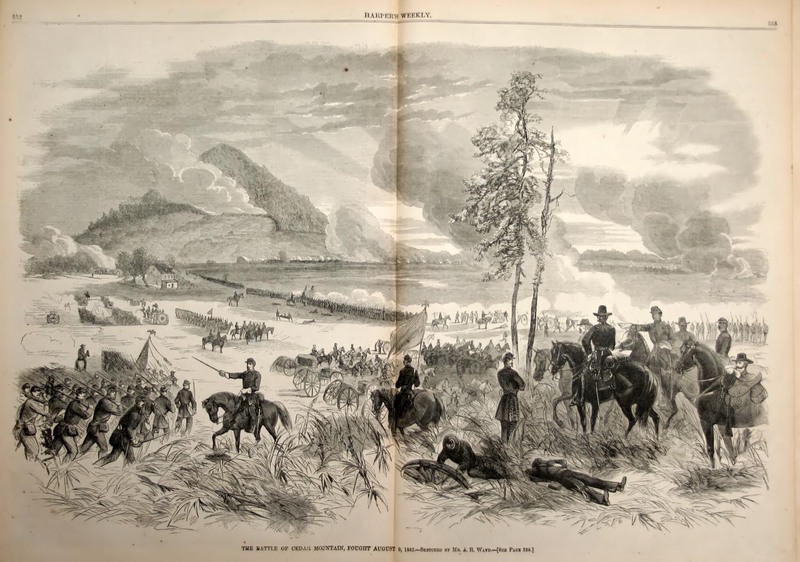 The illustration is captioned, "The Battle of Cedar Mountain, Fought August 9, 1862. - Sketched by Mr. A. R. Waud. [See Page 558]."